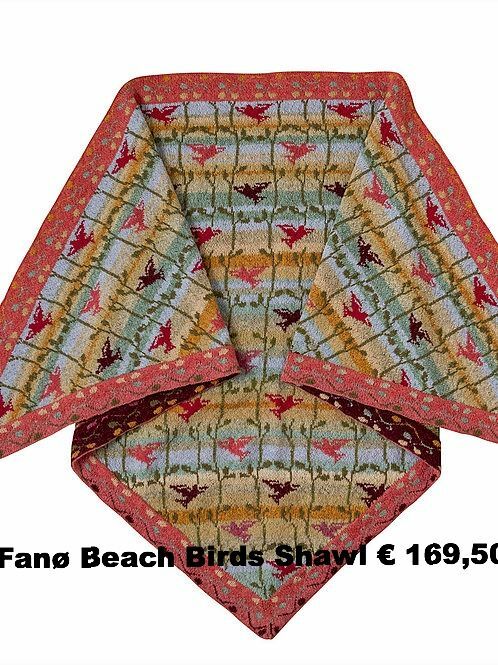 You may have seen my latest shawl, the THE FANØ BEACH BIRDS SHAWL, which, besides knitting, involves embroidery for the stalks. If you do not fancy embroidery on knits, here is a far more easy version, as there are only birds to be knitted, and no leaves and no stalks to embroider. 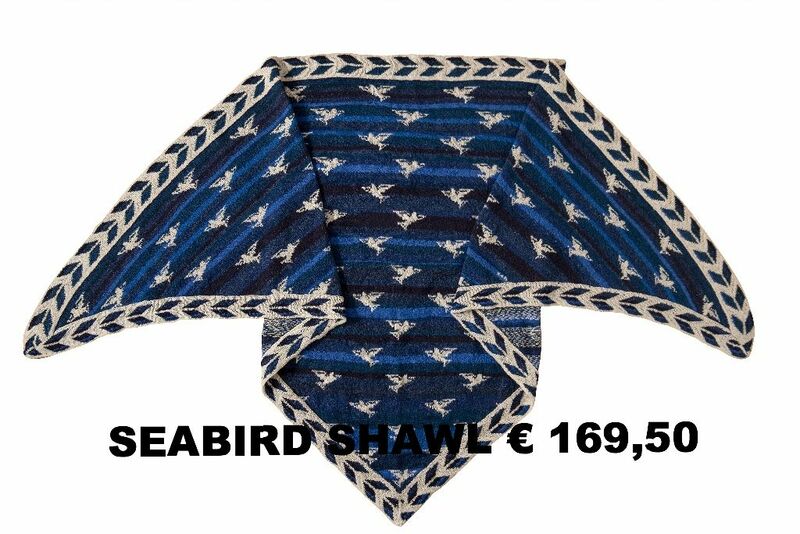 It is quite an amazing shawl with deep blue sky colours and white birds. 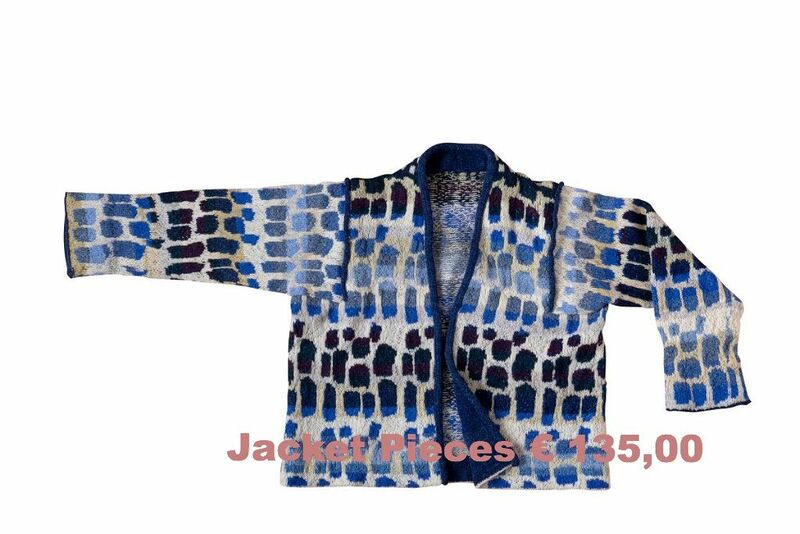 Buy this knit-kit (includes wool and pattern in English): "